This book is not about comics, but was one of my most fascinating reads last year and deserves to be covered! Written by David Bossert with help from David Gerstein the book is all about the Oswald cartoons produced under Walt Disney in the late 20’s. A total of 26 cartoons were made where some are still considered as lost, and this book covers all of them and the history of how they are tracked down. The book first start with a history section about the Disney Studio before, during and right after the Oswald cartoons. 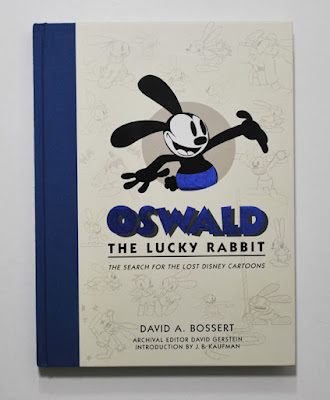 Then we get chapters about the reacquiring of the rights to Oswald, how the hunt for the cartoons began and details about the preservation and restoration process – all filled with new information I hadn’t read anywhere else. 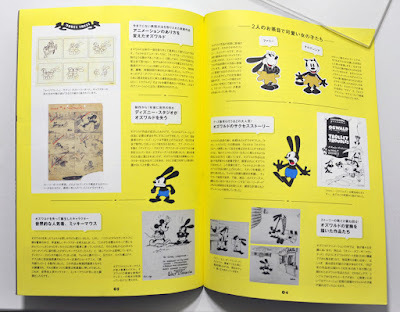 After the intro articles the main part of the book starts, where each cartoon has its own section with a detailed synopsis, information about the source used for restoring the cartoons and lots of illustrations. In the cases where a cartoon is considered lost we sometimes get the full script or survived story-sketches or pencils that can give us information about the story. While reading the book I almost felt glad the cartoons were lost or we probably wouldn’t see all this background material on print! 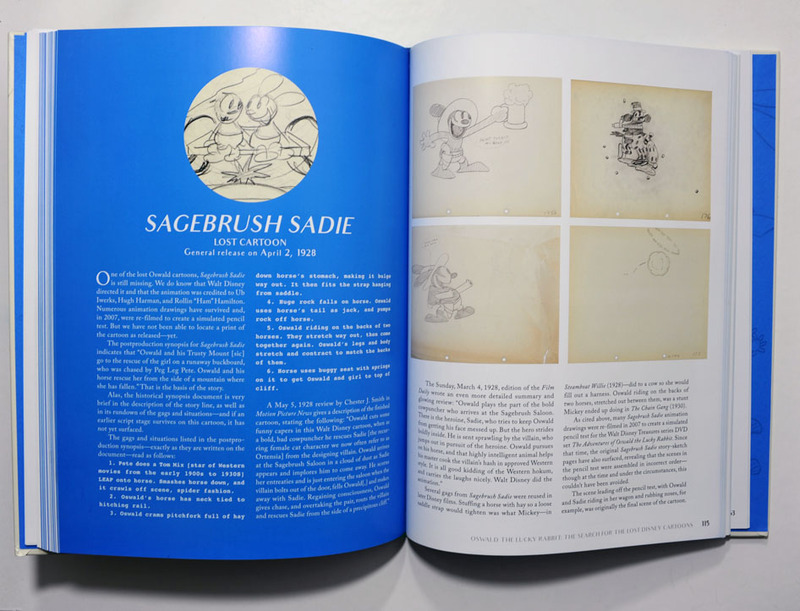 When talking about sources and restoration, the book is usually referring to the restoration done for the 2007 DVD set released in the Walt Disney Treasures series. But much has been discovered after this and we also get details on things that should have been done different. Ex. what title cards were used, sequences that should have been in another order and such. 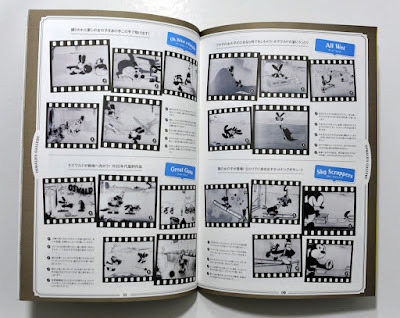 After reading the book I wish we could get a new home media or digital release of the entire collection – updated with all the new information discovered the last 10 years. I also hope the detailed information on what is know and not result in more information being discovered in the future. Even if the book is not about comics, it does have some references and bits of information about the comics too. Even things that was new to me and that I don’t remember reading about in the Gottfredson library. 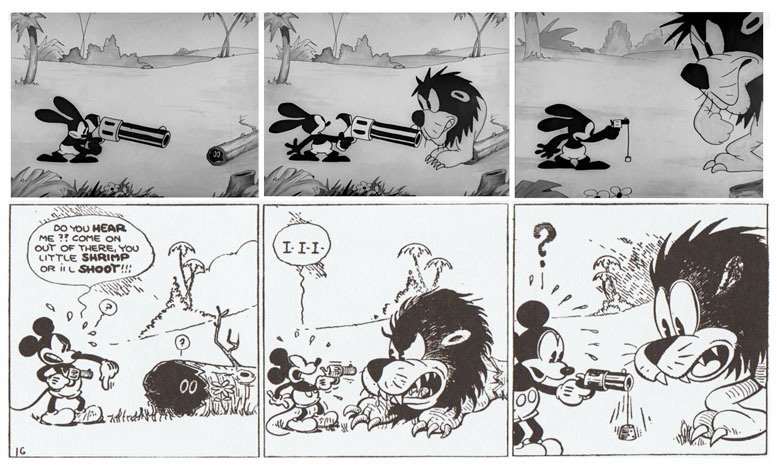 One is about the re-use of gags from the Oswald cartoon Africa Before Dark in the daily strips. The gag where Oswald is shooting off an owl’s feathers is re-used in the January 29, 1930 Mickey-strip, and the sequence with a lion, hollowed-out log and a gun is also re-used. 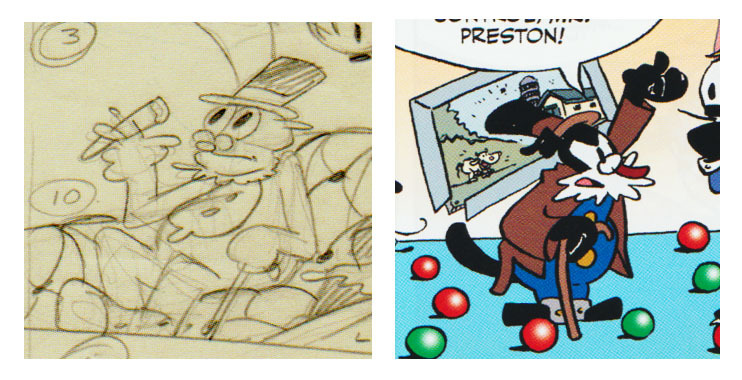 Also, story-sketches from the lost cartoon Hot Dogs reveals that gags are re-used in the comic strips. As an endnote I’d like to show something else I got about a year before the book was released. One day I came across the magazine pictured below while browsing online. 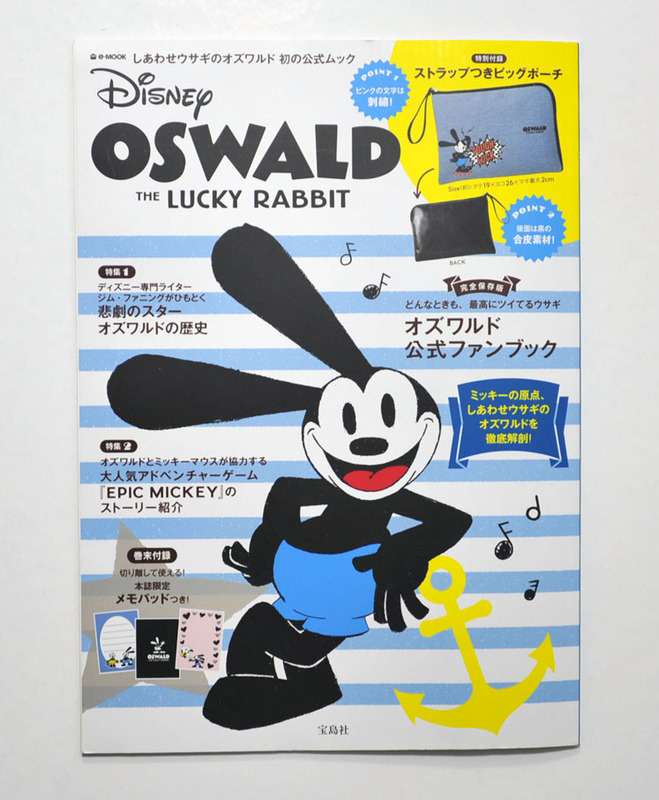 And it’s not every day you come across a Disney Oswald magazine, so I just had to get it even if I can’t read a word Japanese! 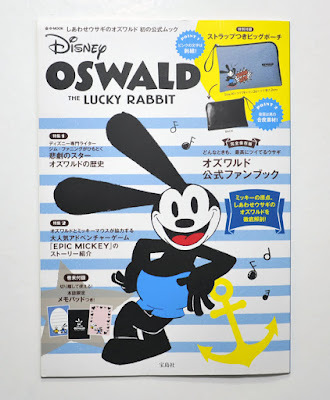 Inside there are pictures of a lot of Oswald merch and a few pages dedicated to the cartoons with still images and sketches. My immediate thought was that I wish there was a book like this in English, with background information about all the Oswald cartoons. And what happened… soon after the book was announced, and now I have exactly what I wanted! Hi Hex! Thanks for the kind review. I'll add some information here too in case others are interested. 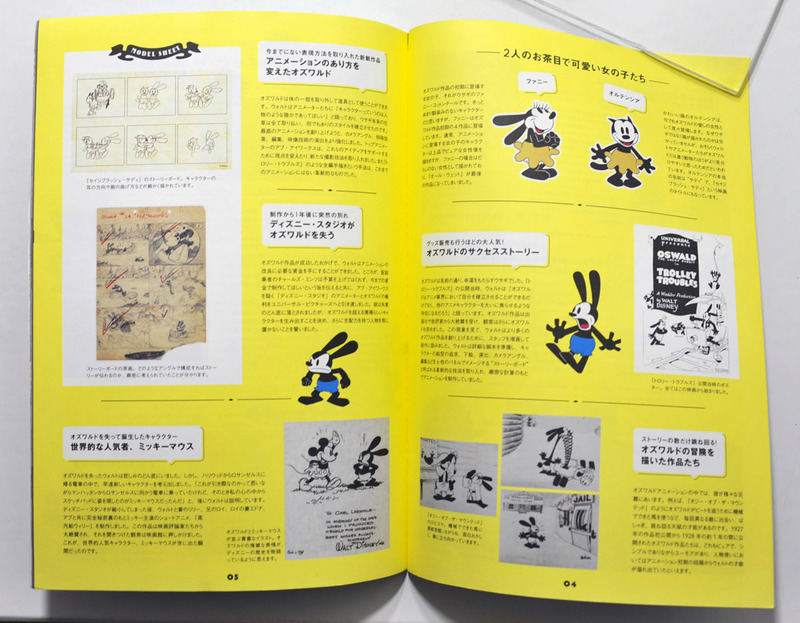 It's mainly a merchandise catalog published by 宝島社 (Takarajimasha, Inc.) with ISBN 978-4800-25577-8. But you should find it searching the web for "Oswald e-MOOK"